What Relativity version are you on? Select a version below to access Relativity developer documentation. 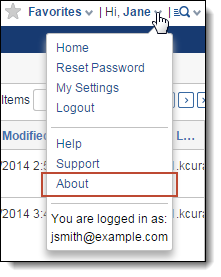 To verify your version, log in to Relativity, and click About on the user drop-down menu.